Seasonal photo shooting in Japan! Every season offers something different and unique. In this article we show you the must-see features of spring, summer, autumn, and winter in Japan that you need to know to get the best shots of the season. The land of the rising sun is well known for its exciting cities, calming nature and picturesque scenery. You may be familiar with Japan's famous flower the cherry blossom, or "sakura" in Japanese, but do you know what the other seasons have to offer? Visitors can expect to see the ever changing scenery in each area of Japan from Okinawa to Hokkaido. You can enjoy watching the beautiful cherry blossoms fall in spring, or gaze upon on the stunning colorful foliage in fall. 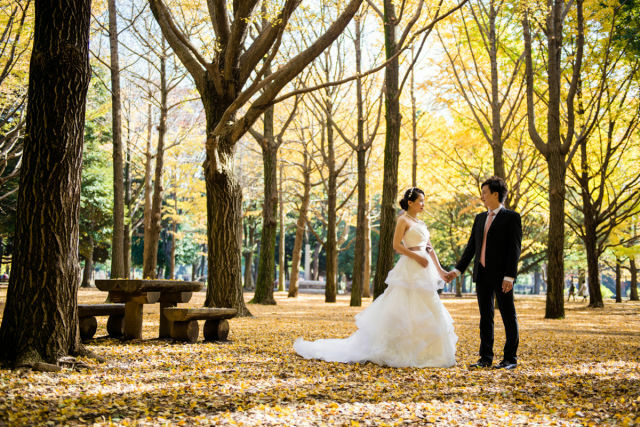 Here is a simple guide to show what each season has to offer for your photo shoot in Japan. Sakura (cherry blossoms) are the most beautiful in the springtime. During mid-March, the cherry blossom front starts from the southern part of Japan and continues through until the middle of May. 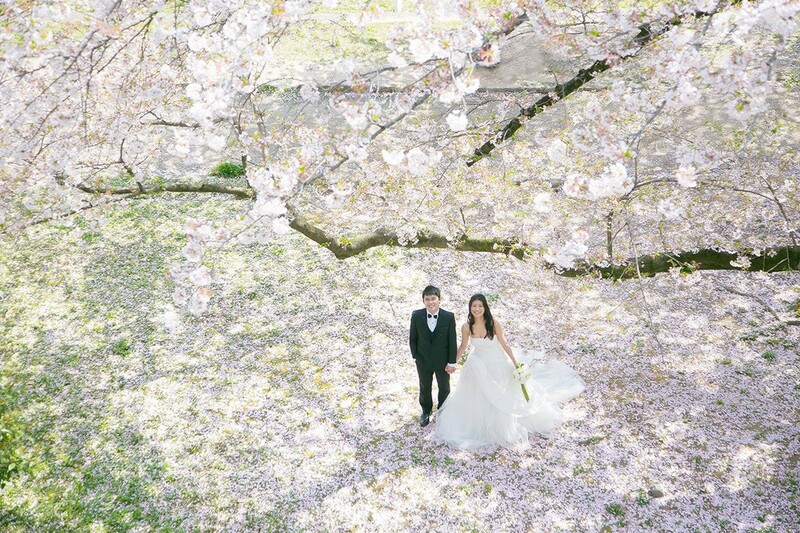 Japanese people usually throw parties and picnics beneath the delightful pink flowers. People enjoy watching the beautiful cherry blossoms along with a glass of Japanese sake or beer. 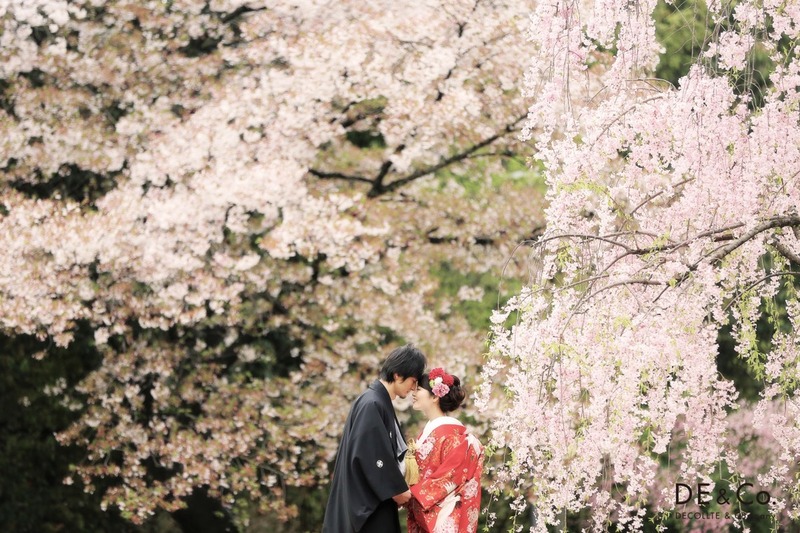 The delicate blossoms can be found all throughout Japan and offer a romantic background for a sweet photo shoot. 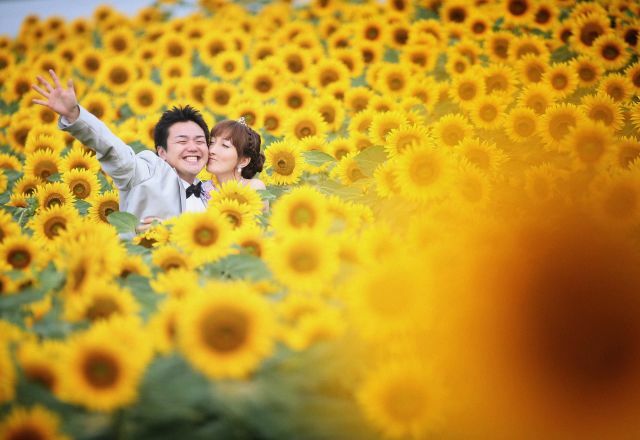 Japanese summer brings festivals, fireworks and flowers - specifically sunflowers, lavender, hydrangea, and roses. The region of Hokkaido is especially popular in this time of year for their large fields of lavender which make a truly picturesque backdrop. This season is perfect for those who want vibrant colors such as yellow and red, or cooler colors like purple and blue. Autumn (September, October and November) is the harvest season. The climate is considered comfortable by most - not too hot and not too cold. The maple and ginkgo leaves have turned red and yellow in October and November. The highlight of this season is "koyo" meaning "fall foliage". The leaves bring a beautiful, warm autumn hue to any scene. Winter (December, January, and February) is the season of snow and illuminations! Many people visit onsen (hot springs) in this season to rest and rejuvenate their bodies. Another popular attraction are winter light shows, referred to as illuminations. These can be found in cities all across Japan and are truly a sight to behold. However, if you're after a photo shoot with a more natural feel, getting out in the snow is sure to make for a Hallmark card-worthy photo.